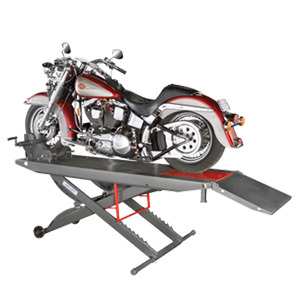 Ranger Pneumatic Motorcycle Lift Platform with Front-Wheel Vise - 1,000 lb. 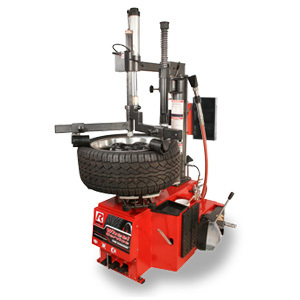 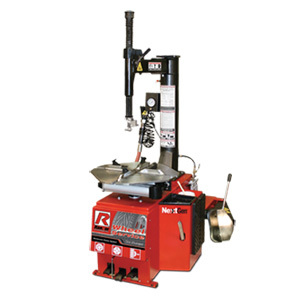 Lifting Capacity - Gary Bloom Sales, Inc.
With a 1,000-lb. 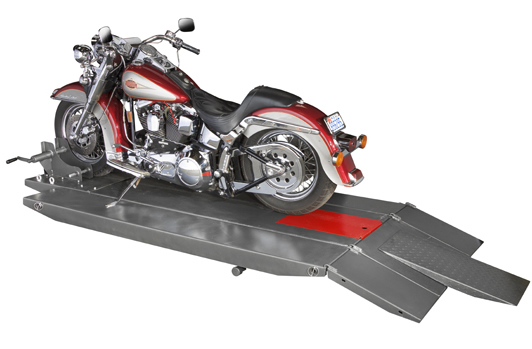 lifting capacity, RML-600XL lift platform brings professional ease to any motorcycle or ATV service job. 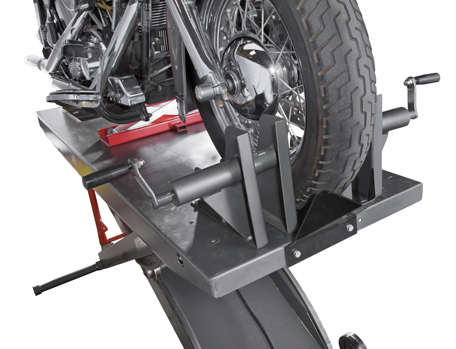 If you build, re-build, repair, service, maintain or store motorcycles and you still don’t have a Ranger motorcycle lift, you’re missing out. 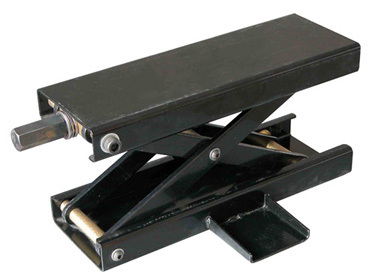 Ranger motorcycle / ATV lifts are known as some of the finest in the industry for quality, features, safety and longevity. 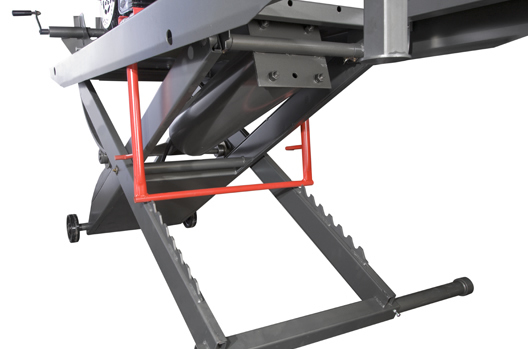 Bottom line: the design of this motorcycle and ATV lift platform is legendary. 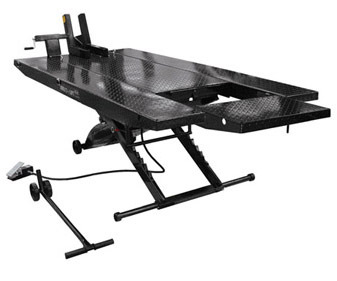 A retracting wheel deck provides the incredible free-hanging wheel accessibility of a two-post car lift while seven fail-safe locks keep the table securely in place under load. 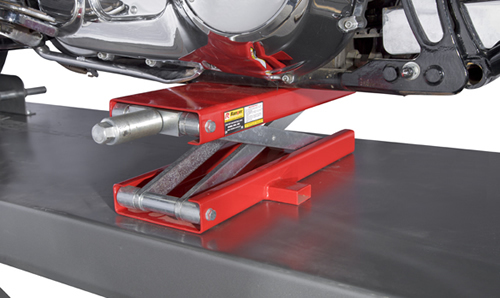 Top that off with an incredibly durable powder-coat finish and one of the most dependable pneumatic designs in existence and you’re virtually guaranteed years and years of trouble free-performance from your new RML-600XL Motorcycle Lift from Ranger.